great list of activities to make your Labor Day weekend unforgettable. Whether you are here for the first time, or you call Charleston home, we have a great list of activities to make your Labor Day weekend unforgettable. While Labor Day is seen as the unofficial end of summer, Charleston's summer easily continues on into September. Whether you are here for the first time, or you call Charleston home, we have a great list of activities to make your Labor Day weekend unforgettable. Order your tickets for the Lowcountry Jazz Festival hosted at the Charleston Gaillard Center. This annual music festival is a Charleston Labor Day weekend tradition celebrates its 10th Anniversary in a big way. This year's headliners include Grammy Award nominee saxophonist Boney James, vocalist Avery*Sunshine and keyboardist Brian Simpson. This festival is the primary fundraiser for the non-profit Closing the Gap in Health Care, Inc which works to increase health literacy and decrease health disparities for African Americans. This two-day event is the perfect way to celebrate Labor Weekend in Charleston. Soaking in some sun on the beach is a popular activity for Labor Day weekend in Charleston. We have five sandy beaches, each boasting its own wonderful qualities. 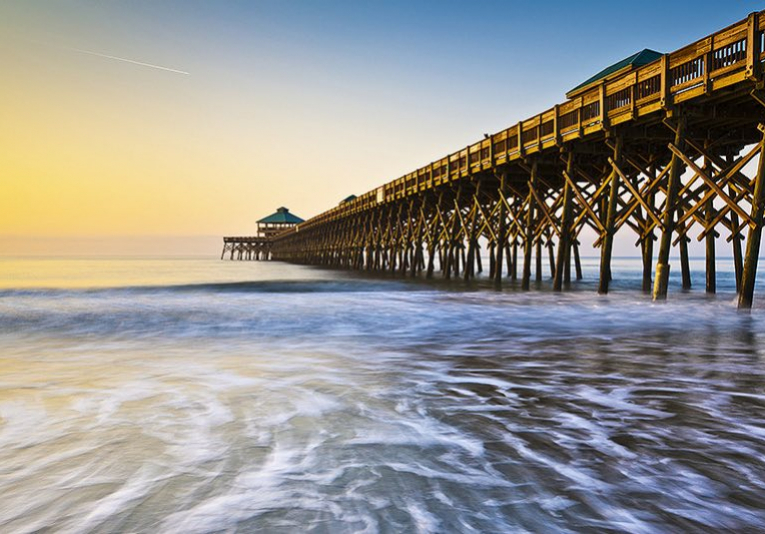 Learn more here about our two favorite beaches: Folly Beach and Sullivan’s Island. Pack some snacks, sunscreen, and a boogie board and you'll be all set for the day. Make sure you head out on the early side to beat the traffic. King Street shopping is endless fun. As one of the South’s premier shopping destinations, Charleston has put itself on the map with family-owned boutiques and luxury retailers. Here in Charleston, you can get started on all of your back to school shopping. For women, we recommend Hampden, Two Cumberland, and House of Sage. For men, the best finds are sure to be at M. Dumas and Sons and Indigo & Cotton. If you are looking for accessories and cute school supplies look no further than Candlefish and Cannonborough Collective. Whatever it is you may be shopping for, we have plenty of stylish options. Looking for something low-key and outdoors that everyone can enjoy? Stop by for Brunch at Kitchen 208. Order a few mimosas and grab a seat on our open-air patio. We are home to Charleston’s best people-watching location, right off King Street's shopping district and our patio is perfectly-situated for Charleston’s cool breezes. This is the perfect place to for a quick bite before heading towards White Point Gardens and soaks up the gorgeous view of Fort Sumter and the Charleston Harbor. Visitors will find an impressive display of historic mortars and cannons from the Civil War. Located in the northern part of the peninsula is one of our other favorite places to picnic, Hampton Park. With beautiful trees and large grassy area, this is a great place for kids to run around and play. If you're hoping to learn more about the historical and intriguing city of Charleston we recommend taking a walking tour with Bulldog Tours. They specialize in historical tours, ghost tours, and the always delicious food tours. Anything Charleston related that you want to know the folks at Bulldog Tours can give you the scoop. The Charleston Farmers Market is a great place to grab breakfast and pick up some gifts. Local Vendors sell everything from locally grown grits to jewelry created out of vintage finds. You could easily spend 2 hours here relaxing, snacking and browsing. The Market is open every Saturday from 8 am to 2 pm in Marion Square.